The weather is not the only thing heating this up this summer in Florida. Developers in various parts of the state are pulling their hair out in an attempt to erect new waterfront residential buildings. In West Palm Beach, The Related Group has proposed to build two condominium towers of 20 + stories along North Flagler Drive, situated west of the Intracoastal Waterway. The development is being contested by the neighborhood association on the grounds that the plans violate the comprehensive plan which prohibits buildings with greater than 164 condominium units. City commissioners delayed their decision on the project last month and have urged the developer to reach a compromise with the neighborhood association and to resubmit a revised plan. Citizens in the neighborhood are outraged since in 2005, this developer had received approval to build a 150 unit luxury waterfront development with Donald Trump as their partner. Once the market crashed the deal fell apart. The new proposal is out of line with the neighborhoods expectations and Carl Flice, a planner who lives in the neighborhood stated “the citizens shouldn’t bear the brunt of poor planning”. In Tampa Bay, a proposed retirement community called Harbor Bluffs could be the catalyst in re energizing a quiet neighborhood near downtown Clearwater. So what about in Naples? Squabbling developers are hard to come by as waterfront condominium buildings rose as the area developed in the late 1970’s and a majority of the buildings have gone through extensive internal and external renovations to ensure the safety and comfort of their residents. New developments along the beach are almost unheard of as waterfront land is scarce and building costs are often prohibitive. Today buyers seeking a luxury waterfront residential condominium in a new building have a few select options; Moraya Bay or Aqua at Pelican Isle, both communities offer stellar amenities and stunning views of the Gulf of Mexico. Buyers seeking a single family home will undoubtedly choose to reside in the exclusive Port Royal neighborhood which is home to the most inspiring homes on the Gulf Coast. 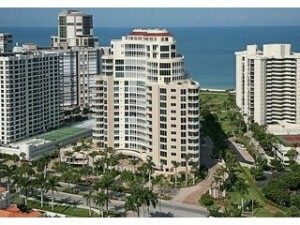 For additional information on waterfront properties in Naples please visit our website. Prev:Fireworks and Festivals…. Happy 4th of July!! !